At the condo pool the other day we arrived for a little swim and time in a lounge chair to just read and enjoy the warm weather. Almost half of the chairs were covered with a towel or had an article of clothing on them and there were fewer people in the pool who could account for the reserved chairs. It reminded me a little of a sea day on a cruise. Deck/lounge chair hogs are hard to outsmart but it can be done. The problem is that I don't care to get up that early in the morning to beat them to the pool to claim a spot. It's just not that important to me. Sea days will find the pool area crammed with people. The only thing that keeps them away is rain. 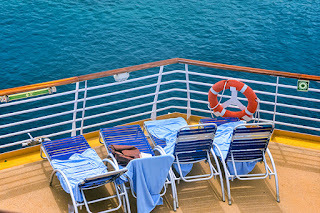 Now there are signs posted on every cruise ship I've been on, and it's also mentioned in the daily news that is usually available, that you should not abandon your deck chair for more than a half hour. If you do it is supposedly fair game for someone to remove your things and take your chair. 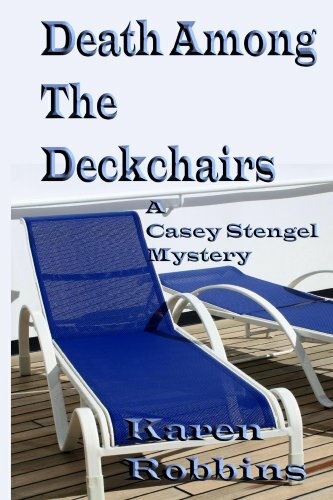 The problem arises in that you don't necessarily know who's been away from their chair for the legal amount of time unless you've been lurking on the deck above and watching. And a towel left behind could just be a used one waiting for the pool staff to tidy up. If you absolutely must have a chair and aren't sure of what's available the safest way to get one is to ask one of the pool attendants. If there are going to be angry words, let the staff handle it. Otherwise, you might want to try one of these other methods of handling deck chair hogs I found on Cruise Critics board discussions. 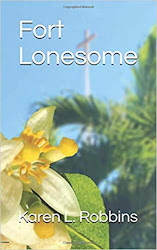 For me, I'll just circle on the deck above for a bit and watch the fun and then go find a quiet spot somewhere to read--some book like Death Among The Deckchairs perhaps? What Makes Florida Sunsets So Beautiful? 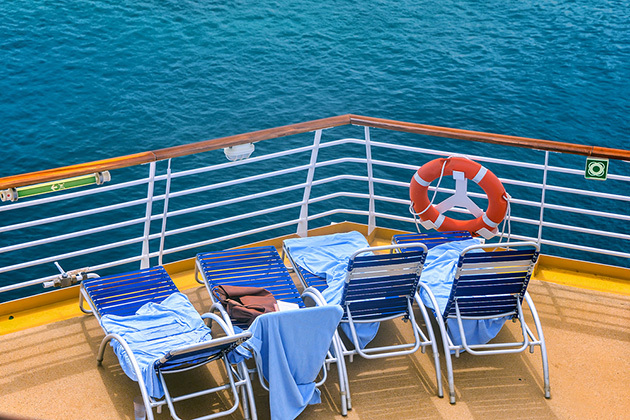 What Do You Do With Your Cruise Card? Breakfast Included--What Does That Really Mean? It's Stone Crab Season in South Florida!